Organized crime is moving online and the Royal Canadian Mounted Police is struggling to keep up, according to a briefing note prepared for RCMP Commissioner Brenda Lucki when she took over the top job earlier this year. The memo, obtained by CBC News under access to information law,​ may launch a renewed battle between the national police service and privacy advocates. "Increasingly, criminality is conducted on the internet and investigations are international in nature, yet investigative tools and RCMP capacity have not kept pace," says the memo tucked into Lucki's briefing book. "Growing expectations of policing responsibilities and accountability, as well as complexities of the criminal justice system, continue to overwhelm the administrative demands within policing." In 2016 nearly 24,000 cybercrime-related cases were reported to Canadian police, up 58 per cent over 2014. The report's authors note that cybercrime tends to be under-reported. Encryption of online data has a been a persistent thorn in the RCMP's side. Lucki's predecessor lobbied the government for new powers to bypass digital roadblocks, including tools to get around encryption and warrantless access to internet subscriber information. "Approximately 70 per cent of all communications intercepted by CSIS and the RCMP are now encrypted ... 80 organized crime groups were identified as using encryption in 2016 alone," says the 274-page document. Some critics have noted that non-criminals — journalists, protesters and academics, among others — also use encryption tools online and have warned any new encryption legislation could undermine the security of financial transactions and daily online communication. Ann Cavoukian was Ontario's privacy commissioner for three terms; she now runs Ryerson University's Privacy by Design Centre of Excellence. She called the RCMP's push for more online policing power "appalling." "I guess we should remind them that we still live in a free and democratic society where people have privacy rights, which means that they should be in control of their personal information," she said. "If you're a law abiding citizen, you get to decide how your information is used and to whom it's disclosed. The police have no right to access your personal information online, unless of course they have a warrant." Lucki was specifically warned about criminal suspects "going dark," a term used to describe the gap between the lawful ability of police forces to obtain online evidence and changing technology. She also was advised the RCMP's court-authorized arsenal (things like court orders and "computer network exploitation techniques," which cover hacking) are "rapidly declining." "Get more efficient," said Cavoukian. A spokesperson for Public Safety Minister Ralph Goodale said that "encryption is critical to safeguarding our cybersecurity, privacy and the digital economy." "However, it has also created gaps for law enforcement and national security agencies," wrote Scott Bardsley in an email. Earlier this year, the House of Commons' public safety and national security committee released a 76-page report that recommended "no changes to the lawful access regime for subscriber information and encrypted information be made." But the committee didn't shelve the issue, promising instead to study the evolving challenges. "The government will support the standing committee on national security and public safety in its continued work to study these and other emerging technological issues related to cybersecurity," wrote Bardsley. "It will also continue to examine options to ensure agencies have the resources necessary to gain access to decrypted data required to address criminal activity." Cavoukian predicts "a real fight" over the issue. 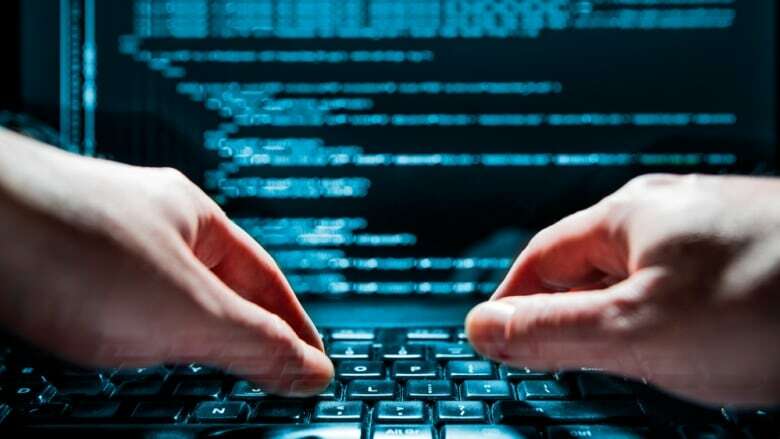 Bardsley says the government has pledged $116 million over five years, and $23.2 million per year after that, to help create the national cybercrime coordination unit, which would help "provide digital investigative advice and guidance to Canadian law enforcement." The RCMP didn't meet CBC's deadline for a comment. The briefing binder also flags the RCMP's persistent problem with replenishing its ranks when officers retire or otherwise leave the force. "The RCMP has a growing vacancy rate that exceeds its present ability to produce regular members at a rate that keeps pace with projected future demands," it warns. As of April 2018, there were 1,122 funded vacant regular member positions —a vacancy rate of 5.6 per cent. That's down slightly from the previous year, when the vacancy rate was 6.6 per cent. The briefing note says that in the last five years, there has been a "dramatic" increase in the number of new recruits needed to fill operational vacancies and evolving program requirements. About 1,280 cadets were expected to be enrolled in 2018-2019, up from 1,152 the previous year. In 2016, CBC News reported that the RCMP was dropping its requirement that applicants be Canadian citizens, and that it would accept applications from permanent residents. The RCMP also loosened entrance requirements to deal with a wave of retirements, low pay and the need to expand its pool of potential new officers. It also dropped its requirement that applicants must be Canadian citizens and now accepts permanent residents. With files from the CBC's Kathleen Harris.